The Presidio Trust is a federal corporation created by Congress to preserve, protect, enhance, and manage the Presidio of San Francisco, which was designated a National Historic Landmark in 1962, and is part of the Golden Gate National Recreation Area. Free, and open 24 hours a day, the Presidio covers 1,491 acres, from the Pacific Ocean to the San Francisco Bay, and includes a diverse ecosystem, sprawling shoreline, sweeping views, 300-acre forest, 768 buildings, 1147 housing units, a Civil War-era nondenominational chapel, several restaurants, businesses, and non-profit organizations, a bank, a post office, a campsite, a cemetery, and a golf course, with the Trust overseeing the interior 80% of the Presidio lands, while the United States National Park Service manages the 300 acres along the coast. There is an intense ongoing debate surrounding the extent of potential further development on the Presidio grounds. Those in favor of more building point to the need to maximize income by the 2013 date the government has set for cutting off its funding for the park, and are supportive of a proposed 100,000 square foot Contemporary Art Museum, Presidio (CAMP) that the founder of The Gap and his wife would give to the park, as a place to house their art collection. Opponents, on the other hand, say the buildings being considered, including a 95,000 square foot, 125-room lodge, and especially CAMP, would be detrimental to the Presidio for a variety of reasons. Some see it as damaging to the preservation of the Presidio as a National Historic Landmark, and natural wonder; others, including the Sierra Club, oppose it for its scale, design, and location. There are also concerns from people who live nearby about the extra traffic additional attractions would bring to the neighborhood. The oldest continuously operated military post in the nation, the Presidio of San Francisco was a military base for 218 years, from the time Spain established El Presidio in 1776, until the Army, in 1994, transferred it to the National Park Service, after the U.S. Base Realignment and Closure Commission deemed it no longer necessary in a military capacity. In 1996, Congress established the Presidio Trust as a wholly owned corporation of the Federal Government, with the specific purpose that it preserve, enhance, and maintain the Presidio as a park. The Presidio Trust Act mandated it be run in a manner consistent with sound principles of land use planning and management, and which protects the Presidio from development and uses that would destroy the scenic beauty and historic and natural character of the area and its cultural and recreational resources. The Trust, the Act, stated, is to be governed by a seven-member Board of Directors, made up of six Presidential appointees who are not employees of the Federal government, and the Secretary of the Interior, or a designee of that office. They are to manage the leasing, maintenance, rehabilitation, repair and improvement of property within the Presidio through a public/private partnership that minimizes cost to the United States Treasury, and makes efficient use of private sector resources. In addition, the Act mandates that the Trust become independent of annual appropriations by the end of fiscal year 2012. In 1998, The Trust began preserving historic buildings on the Presidio grounds, including barracks, forts, hangars, and officers quarters. It also started repairing and modernizing non-historic structures, turning them into a variety of new entities, including schools, dance and yoga studios, and family residences, and a year later the Presidio Trust began leasing Presidio apartments and homes to the general public. In 1999, the Presidio Trust, the National Park Service, and the U.S. Army reached an agreement to transfer the environmental cleanup responsibility for the Presidio from the Army to the Presidio Trust, with the Army providing $99 million to the Trust to fund the effort. The Trust also entered into an agreement with Lucasfilm to build a facility called the Letterman Digital Arts Center on a portion of the site of the Letterman Army Hospital, which became the headquarters of Industrial Light and Magic, and LucasArts. The 23-acre, 860,000 square foot production campus opened its doors in 2005. 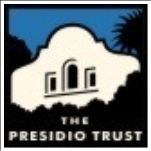 In 2004, the Presidio Trust’s operating costs became fully covered by earned revenue, allowing it to invest all Federal appropriations in building rehabilitation and preserving cultural and natural resources. In 2007, the Trust updated its five-year Strategic Plan, to include a construction schedule which focuses on completing four of the principle areas of the Presidio: the Main Post, the Public Health Service Hospital, Crissy Field, and the small-scale historic industrial streetscape in view of the Bay and Golden Gate Bridge known as the Thornburgh district. The Presidio Trust opened a bed-and-breakfast hotel, called the Inn at the Presidio, in 2012. Originally built in 1903, the site, Pershing Hall, once housed bachelor officers. A hundred years later, it became the focal point of a public dogfight over the use and preservation of the Presidio. The result was a “green” building (complete with insulation made from recycled denim and American-made wool area rugs). Where soldiers once retreated from the cares of the day, guests can now enjoy amenities including a continental breakfast and afternoon wine receptions, as well as golf and hiking nearby. In October 1968, nearly 30 American soldiers imprisoned inside the Presidio stockade in San Francisco had had enough. Some of the men suffered from mental problems, others were conscientious objectors who refused to fight in Vietnam. All were subjected to overcrowded conditions, made even more insufferable by abusive prison guards. Things were so bad that many inmates had attempted suicide inside the prison. By one count, 33 suicide attempts by 21 men were made from May to October that year. On October 27, a group of 27 inmates decided to protest their treatment by the military. They linked arms and sung “We Shall Overcome” while conducting a sit-down protest. Guards broke up the demonstration, and military prosecutors charged each man with mutiny — a crime punishable under the Uniform Code of Military Justice. A series of courts-martial trials ensued. Twenty-two of the accused were found guilty and sentenced from six months to 16 years (three men managed to escape to Canada, while two were convicted of lesser crimes). All of the convictions were eventually overturned, resulting in lesser convictions of willful disobedience. The men were given one-year sentences, which many had already served by that time. The day-to-day operations of the Presidio Trust are managed by an Executive Director, who reports to the Presidential appointees and oversees a staff with expertise in archaeology, environmental science, finance, historic preservation and restoration, landscape design, law, planning, public affairs and programs, operations and maintenance, real estate development, and resource management. Their job is to operate, the Presidio’s facilities and infrastructure, and to generate revenue and attract donations so that the Presidio can support itself without government funding by 2013. Trust employees lease and manage a range of residential units, from small buildings that are non-historic, to large family homes that are among the Presidio’s signature historic buildings. The also works with the National Park Service and other partners to plan and host approximately 40 events a year, including athletic competitions, concerts, excavation field trips, exhibits, festivals, historic pageants, lecture series, Teacher’s Night resource sharing, and various Presidio tours. In addition, the Trust, at the Presidio, annually co-sponsors, with the San Francisco Society, the Film in the Fog series, during which there is live music and a free screening of a science fiction film. The Trust also sponsors PresidiGo, a free internal shuttle that makes stops at more than 40 destinations within the park. Donald Fisher, founder of Gap, proposed building (and paying for) a 100,000 sq. ft. modern art museum in the Presidio, to house his massive art collection. The idea brought angry reaction from members of the Presidio Historical Association, who preferred a small history center. Unfavorable impact studies and vehement protests over the white-box design of the proposed art museum virtually derailed Fisher’s plans. He ended up withdrawing his proposal and his collection instead was destined to go the San Francisco Museum of Modern Art. Should an Art Museum be Built at the Center of the Presidio? Donald Fisher, founder of Gap, has proposed building (and paying for) a 100,000 sq. ft. modern art museum in the Presidio. Members of the Presidio Historical Association would prefer a small history center. Presidio National Park Must Become Self-sufficient: The Presidio of San Francisco, a former military base, is the only national park mandated by Congress to become financially self-sufficient. Use all three proposals, they are all great. But instead of increasing parking, decrease parking, and use the proposed parking space for other galleries. Extend the Central Subway all the way through the Presidio with critical stops to the Golden Gate. Basically only two ways to the great new museum, walk or ride public transit. The new Central subway intersects all major transit systems including the new Transit Center parkway. Annual Budget: $18 million appropriation (2009) The Trust finances its operations through a combination of: Government appropriations, rental revenue from residential and non-residential property, reimbursable agreements with other government agencies, and fees for some services. In addition, it invests federal appropriations in projects that generate revenue, with the objective that earned income replace all government funding by the start of 2013. Paula Robinson Collins, a San Francisco real estate developer, was appointed to the board of the Presidio Trust by President Barack Obama in June 2012 and reappointed in June 2015, at which point she took over as the board’s chair. The Presidio Trust is a federal corporation created by Congress to manage the Presidio of San Francisco, which was designated a National Historic Landmark in 1962. The oldest continuously operated military post in the United States, the Presidio of San Francisco was a military base for 218 years, from the time Spain established El Presidio in 1776, until the Army, in 1994, transferred it to the National Park Service. Collins is from Washington D.C. She attended Mount Holyoke College, earning a B.A. in urban studies in 1971 and then a master’s in city planning from Massachusetts Institute of Technology in 1975. Her thesis was titled “Revenue Sharing: Minorities and the Poor,” and examined the effect of federal revenue sharing on underserved communities. Collins worked in the early part of her career in the property and facilities division of United Airlines and general manager for real estate developer Daon Corporation’s Northern California regional office. Collins and her husband, Chuck, in 1987 founded The Western Development Group, launched the following year as WDG Ventures, a real estate development company in San Francisco. They helped develop the Moscone Convention Center and the company has worked on large hotels, medical centers and other projects. Collins is the chief executive officer of WDG. In 1987 she became a director of Tahoe Savings and Loan, a new chartered federal mutual association. In 1993, she joined the board of directors of Bay View Capital Corporation, leaving in 2002. She began a three-year term on the board of the California State Automobile Association and Inter-Insurance Bureau in 1997. She was also a member of the Advisory Council of the Federal Reserve Bank of San Francisco. In 2004, she formed Portfolio Real Estate Consulting, which provides development management services. Collins was one of the founding directors in 2006 of Presidio Bank, a business bank in the San Francisco Bay area and continues to serve on its board. In May 2015, Collins joined the national board of the American Automobile Association as secretary. Chuck Collins left WDG in 2002 and is president and CEO of the San Francisco YMCA. He served in the 1970s and 1980s as deputy secretary of the Business, Transportation and Housing Agency for the State of California under Gov. Jerry Brown (D). The Collins have two adult daughters, Julia Collins, co-founder and CEO of Zume Pizza, and Sara Dereath Collins, a cardiologist in Washington DC. 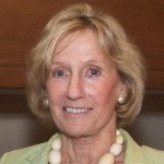 Nancy Hellman Bechtle was appointed to the Presidio Trust board of directors by President George W. Bush in 2008. She took over as chair of the board in January 2010. The Presidio Trust is a federal corporation created by Congress to manage the Presidio of San Francisco, which was designated a National Historic Landmark in 1962, and is part of the Golden Gate National Recreation Area. The oldest continuously operated military post in the nation, the Presidio of San Francisco was a military base for 218 years, from the time Spain established El Presidio in 1776, until the Army, in 1994, transferred it to the National Park Service. Born in 1937, Bechtle is a fourth-generation San Franciscan who grew up across the street from the Presidio. As a child she used to climb the wall and play in a park on Presidio property. She was once kicked out for riding her horse on the base. Her great-grandfather, Isaias Hellman, donated part of the land to build the University of Southern California. Moving to San Francisco in 1890, he eventually served as president or director of 17 banks. Among his partners were Levi Strauss and Hellman’s brother-in-law, Mayer Lehman, who co-founded Lehman Brothers. Both of Nancy Bechtle’s parents served in World War II; her mother, Ruth Koshland, was a Women Air Force Pilot (WASP). Ruth died in 1972 while scuba diving the day after she had a moter scooter accident. Nancy’s brother, Warren, is a near-billionaire investor specializing in leveraged buyouts. She attended Stanford University, where she was on the ski team. She dropped out during her junior year in 1959, but finally earned her B.A. in 1984. Bechtle was chief financial officer and director for J.R. Bechtle & Company, an international consulting firm, from its founding in 1979 until 1998. From 1987 to 2001, she was president and chief executive officer of the San Francisco Symphony, and has served as a member of the San Francisco Symphony board of governors since 1984. Bechtle has served as chair of the Sugar Bowl Ski Corporation since 1998. One of the runs at Sugar Bowl in Lake Tahoe is named after her…Nancy’s Couloir. She was director of the National Park Foundation from 2002 to 2008 and was its vice-chairman 2005-2008. She has also served on the numerous boards, including those of the Charles Schwab Corporation, the Charles and Helen Schwab Foundation, and the San Francisco Opera Association. Falling victim to the disease of scleroderma in 2000, Bechtle later became chair of the Johns Hopkins Scleroderma Center Advisory Board. Bechtle has been a frequent financial contributor to both major parties, including to the campaigns of Diane Feinstein, Nancy Pelosi, Barbara Boxer, Harry Reid and George W. Bush. She married Harry Parish after dropping out of college. The couple divorced, and in 1975 she married management consultant Joachim Bechtle. She has a son, Michael Parrish, and a daughter, Jessica Galloway.